The Absolute Yachts 48 Navetta was the star of the recent Fort Lauderdale Boat Show. "Reaching For The Absolute", the motto that the Italian-builder and its team of designers and craftsmen are reminded of daily in their pursuit of boating perfection. This credo is meant to describe those who are not content with average, but strive for absolute results in personal and professional lives. This philosophy is seen throughout the details in every Absolute Yacht which, in true Italian-style, are of the highest quality and contemporary style in its class worldwide. The "Made In Italy" quality is one of the distinguishing characteristics of Absolute, as every model was designed by Sergio Maggi and his team, and built at one of the most evolved shipyards in the world. 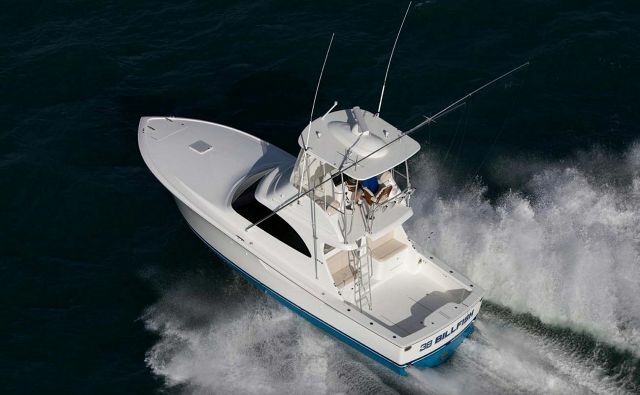 Absolute uses cutting-edge tools with advanced 3D modeling systems to give their yachts an edge over the competition. With the Fort Lauderdale Boat Show arecently completed, all eyes were on Absolute and the exciting new 48 Navetta that made its debut. 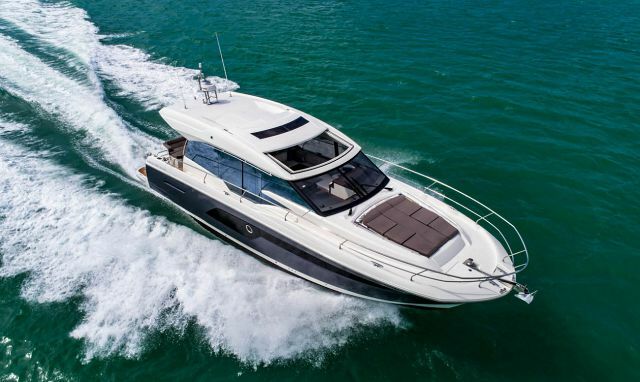 Absolute most recently launched their flagship Navetta 73 which was a resounding success, but is now turning their attention to the sub-50 foot end of the market to target the owner/operator as well as any of the Sea Ray 40'+ owners that have nowhere else to move up. Not only was the feedback from customers well-received on the Absolute 48 Navetta, but it was also nominated for the European Powerboat of the Year award. 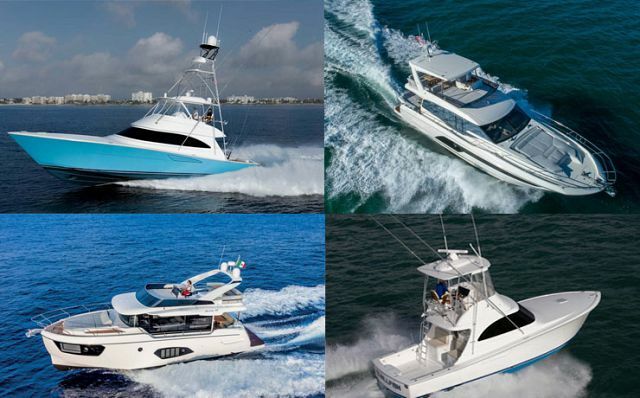 If you would like to learn more about any of the Absolute models or want to make an appointment for the boat show, contact us here or call us at (718) 984-7676. "I was on the Navetta 48 at the Absolute dealer meeting in Italy," said SI Yachts owner Frank Bongiorno. 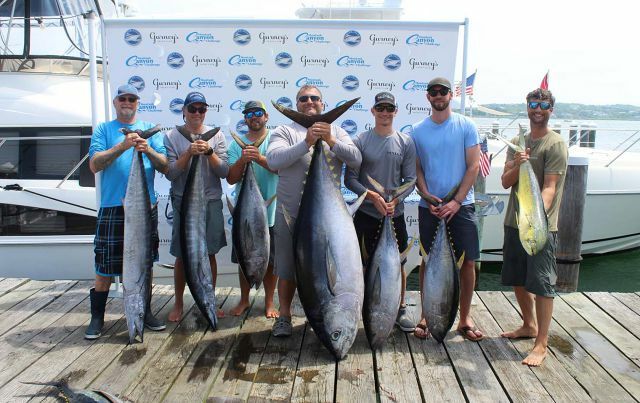 "This is a huge 48-foot boat. Very spacious, lots of room, and priced extremely competitively." With the new Navetta 48, Absolute's goal was to use her dimensions as an advantage to create a comfortable, social platform also excelled in her performance. 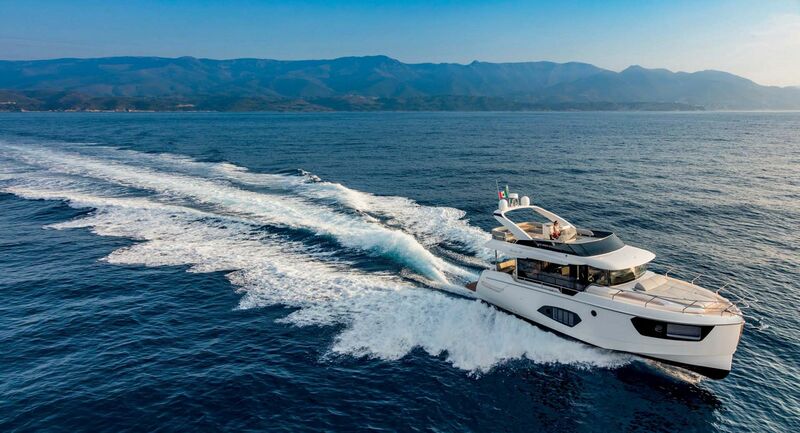 Nothing feels compromised on the Navetta 48 from the flybridge space, the bow sunpads, the interior socializing areas, and particularly the 3-staterooms with an en suite in the master. Whether you are beginning your boating journey or simply moving up for the smaller cruising boat, the Navetta 48 is an owner-operator's dream. The flybridge is benefitted from the 15'+ beam and features a big sun pad forward from the upper helm station that wraps around each side. Additionally, the aft cockpit area is spacious and comfortable with dual entrances to make mooring easier. Traveling forward on the main deck you'll find a wonderful over-sized sunpad on the bow big enough for three people. Raised headrests and built-in drink holders in the cushions make this a great place to enjoy the sun. The main deck on the Absolute 48 Navetta is functional and well-planned for socializing indoors. The galley is placed just through the aft doors which makes serving guests dining on the aft cockpit convenient. Everything one would need for a fully equipped galley is here including plenty of storage space for any extended trips. The U-shaped dining area is across from a couch that creates a wonderful conversation and sitting area, all of which is bathed in natural light from the full length windows that give everyone on board amazing views. The 3-cabin, 2-head layout is a popular version on this style and length of boat, however the size of the staterooms on the Navetta 48 are astounding. All three cabins are double-sized with the master boasting a king-sized berth, the VIP with a queen, and the third guest stateroom with two comfortable single beds. The VIP is placed forward for maximum privacy from the master and even though this boat is under 50-feet, everyone feels like they are in their own oasis relaxing in their cabin after a long day of sunshine. The Navetta 48 will be equipped with twin Volvo Penta D6 IPS 600 435hp diesel engines that are described as being low on fuel consumption, low noise and vibration, great performance, and exceptional maneuverability. Whether you are driving from the bridge or the lower helm, the joystick control of the Navetta 48 makes handling easy. There is also a side door next to the lower helm for easy access to the starboard side when docking. The latest in electronics, comfortable helm seats, and the performance of the Volvo IPS 600's make the Navetta 48 a joy to drive. Visit our Absolute Yachts Navetta 48 page to see more photos and any recent magazine reviews about the boat that have been published.